Dr. Wise has developed custom, multi-faceted surgical techniques to achieve a natural, refreshed look. His work reflects a new philosophy in facial plastic surgery: emphasizing the natural beauty of the features to create a remarkably natural look. If you have concerns about facial aging but are seeking a fresh, natural look, there is no better plastic surgeon to speak with than Dr. Wise. The approach does not involve any guesswork – your surgical plan is developed with you, using our 3D Vectra imaging system – not only do you have the opportunity to look at images of real patients who have had a facelift at our clinic, but you have the opportunity to see, in three dimensions, what your face will look like after your procedure is complete. What To Expect:A Facelift That Looks Like You. Dr. Wise performs his custom facelift procedures at his state-of-the-art, accredited surgical center in Wayne, New Jersey. There is no need for general anesthesia in many cases. Your journey with us does not end with the surgery. We provide specialized healing and recovery treatments, including treatment with our Light Therapy System. The procedure itself involves surgical correction of sagging muscles and tissue, along with natural fat transfer and laser skin resurfacing for a more thorough and truly natural and beautiful outcome. 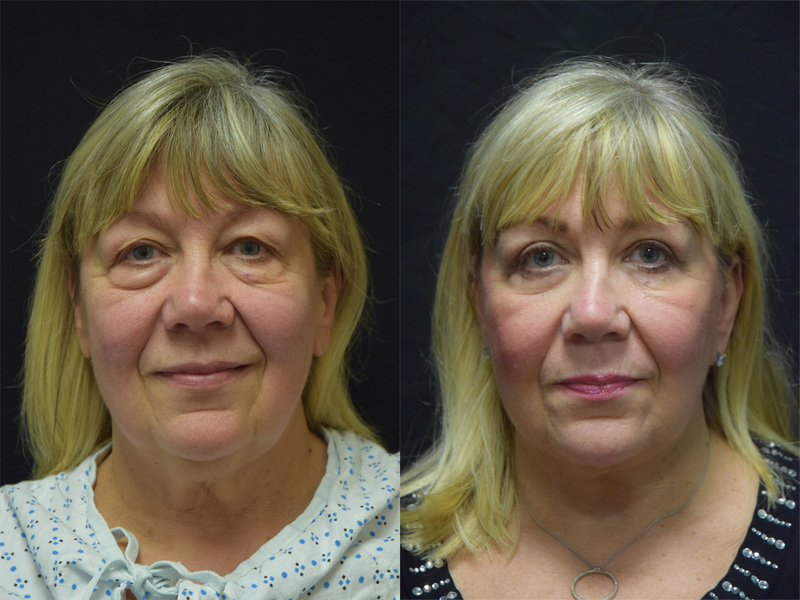 Facelift to resolve excess sagging skin, drooping facial muscles. Laser skin resurfacing with an advanced CO2 laser system to smooth fine lines and create a smooth, evenly-toned, healthier skin and tighten the skin at jawline and neck. Fat transfer to restore lost volume at cheeks, smooth creases and wrinkles, and restore the firm, fresh look of youthful skin. 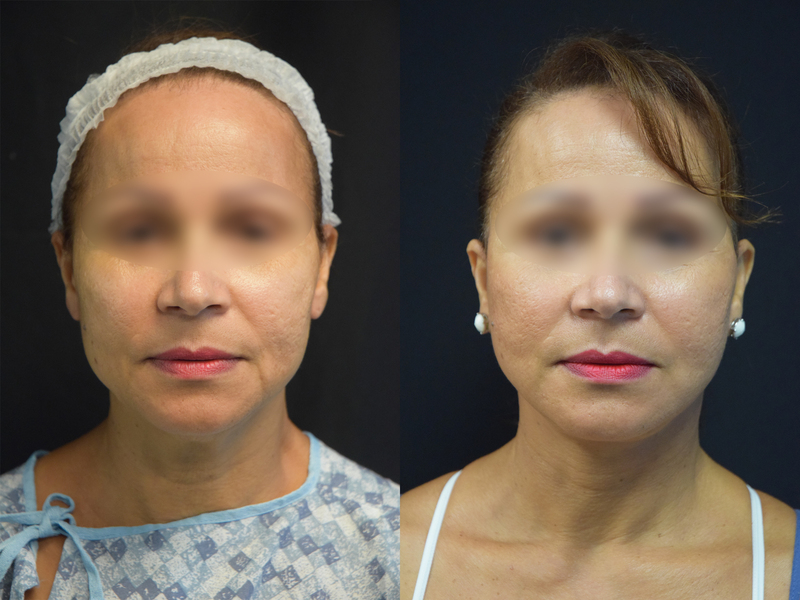 Eyelid surgery to remove excess skin and fat that cause upper and lower eyelids to droop and sag, and create a more open, refreshed, and attractive look. Why Choose Dr. Wise for a Facelift in New Jersey? Dr. Wise is one of the few double board-certified plastic surgeons in the country and is a professor Facial Plastic and Reconstructive Surgery at NYU School of Medicine. He has a worldwide reputation as a leader in the field of facial plastic surgery, known for his developments of innovative and effective surgical techniques to achieve facial rejuvenation, with a focus on artistry, balance, and a look that appears fully natural. Why not choose the best of the best? You are invited to experience the difference true medical professionalism can provide in a private consultation at our state-of-the-art, luxury clinic. Coming from a family of jowls, I wanted to have my neck improved since the age of 40. I am glad I waited to 60 so that I could experience Dr. Wise and his staff. The results were amazing. After 4 sons and a corporate career, I looked tired and worn. Now I look as good as I feel. Thank you Dr. Wise and your staff who were with me every step of the way.